I’m back! 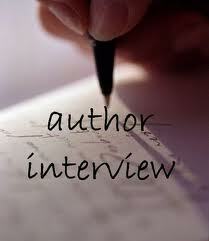 As promised I have an author interview for you today. 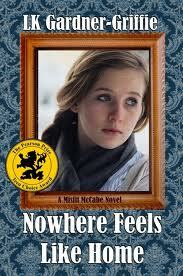 LK-Gardner-Griffie is the author of Misfit McCabe and Nowhere Feels Like Home. The third book No Boundries will be released this summer. The books follow the life of 14 year old Katie McCabe. 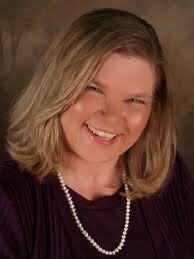 LK is very talented and her journey to publication is extremely interesting. She inspires me to keep going. The online reviews of Misfit McCabe are impressive. If you are looking for something to read now that the summer is here, pick up Misfit McCabe and Nowhere Feels Like Home. I am positive you will be happy that you did. I’d love to hear what you think of this interview so please leave a comment. Hi LK, How are you today? LK: I’m actually recovering from pneumonia, but I can breathe, washed my hair, and I did a little revising today, so we’ll call it a win all around. I’d like to start off by asking you a question about your name. Is LK something you chose as your Pen name? Did you choose this or did an agent or editor recommend it? I always wondered if pen names were suggested or not (you know, sort of how some celebrities are encouraged to change their names). LK: I think I decided to go with my initials at around age ten, so no agent or editor was involved at that time. I decided I wanted to write books when I was nine, and by ten I started thinking about what name would be on the cover. Every year at the beginning of school, or with every substitute teacher I had, my name, which is Liana, would get mangled and it irritated me that teachers, who should know everything, couldn’t get a simple thing like my name right. So I started thinking about how much more it would get mangled when I became a famous author and how easy I would be to find (I’ve always been a private person). And came to the conclusion that if I used initials, it added a bit of mystique and I could write as either a boy or a girl. And while the sting of being called Linda every year until the teacher learned my name had faded, by the time I had completed my first novel, the idea of using initials stuck with me. Okay, let’s start with Misfit McCabe. How did you come up with this idea? LK: Misfit McCabe came to me. Literally, in the form of a dream. I woke up one morning with the dream still playing in my head and the desire to write it as a book was born. I didn’t dream every detail, but most of the key parts of Misfit McCabe were in the dream. You’d better believe I did some fast scribbling to capture as much as I could. Ooh interesting. The book I am currently completing also came to me in a dream. Can you tell us about how long it took you to write this book? LK: Believe it or not, this question is a little difficult for me to answer because Misfit McCabe was written quite awhile ago. But my memory says, I think approximately two months for the first draft. Nowhere Feels Like Home was drafted in four weeks, but it gushed out and I just rode the wave. With Misfit McCabe, I wasn’t sure what I was writing was worth the paper it was on, so I took a writing class to help get some feedback on the work, and I’d finished before the class was over, but revisions took longer—as they always do for me. What was the querying process like for you? Did you rack up a lot of rejections prior to getting the “acceptance”. LK: With Misfit McCabe, I had a roller-coaster type of experience. I didn’t rack up a lot of rejections prior to getting the “acceptance”, but I did afterward. Let me preface this by saying publishing was a different animal when I wrote Misfit McCabe and even then my experience was an exceptional one. As I mentioned I took a writing course to help make sure I was on the right track with the technical aspects of the story. During the class, we found out about a local writers conference and I decided to go. My first exposure to agents came at the conference when the agents who took the stage that day gave a talk about what they look for in their submissions. One basically said she had a full client list and wasn’t interested in any new submissions. (And I wondered why she was there.) The other gave a realistic talk about the type of time the agent spends on the various activities and where you, as a new writer, fit into that time scheme. Then after the conference, I noticed the agent who actually said something of value had a circle of people around her asking questions, so I joined the group on the fringes, just so I could soak up the information. I had no intentions of asking any questions, I just wanted to learn as much as I could. She then turned to me and asked what I wanted to know. I panicked. And thinking fast, I asked what the best way was to find agents who handled juvenile fiction. (This was prior to the internet, and even prior to young adult as a separate category, and agents for juvenile work were sparse.) She said that she had a friend who handled juvenile, and that they were trying to work out a co-op type of arrangement where they would recommend clients to each other, and to send her my first three chapters and she’d see whether she could refer me to her friend. I was ecstatic and scared. And I probably wrote the lamest query letter of all times… along the lines of “Hi – I met you at the conference and you asked me to send you three chapters and here they are.” I sent my package off the Wednesday before Thanksgiving, and that Sunday I received “the call”. She couldn’t stand to be away from the office, so had gone in and my manuscript pages were there and she read them…and LOVED them. By that time I couldn’t feel my feet, but managed to squeak out “does that mean you’re going to refer me to your friend?” To which she responded, “No, I’m want to represent you.” And it was done. (Again, different times and most of publishing was handled by a “handshake” and not a contract.) I had an agent. And after a bona fide happy dance, panic settled in. Holy crap, she wanted the rest of the manuscript and I hadn’t finished it yet. So I came down off my cloud and finished writing the book. The rejections. Well, it would have been nice if my agent had done something with my manuscript, but I’m afraid it languished around the office waiting to be noticed again. My mistake was not insisting that it be sent to someone who handled juvenile fiction as a part of their work. I was just so happy that an agent loved my work, and to be honest, I was so new to the publishing industry I didn’t know any better. Then there were problems within the agency and the agency dissolved and all of the work was divided up, but my lone little juvenile manuscript didn’t have a home because no one handled juvenile, so it came back to me after a couple years. And Writer’s Market and I went to work. But in those days, simultaneous submissions were taboo, so one submission at a time, via snail mail with average response times of approximately six months. So while I didn’t wrack up a lot of rejections, it happened over years. And life kept getting crazier until I had a job where I traveled constantly and I simply stopped submitting. Then one day toward the end of 2007, I decided enough was enough, Misfit McCabe had gathered enough dust, and I wanted to put it out to share with my family and friends, so decided to self-publish it. I did another couple of rounds of revisions (I’m addicted to revisions and sometimes don’t know when to stop), had a cover made, and put it out. I’ll share a little more about what happened with it, when I answer some of the questions below. Can you tell us about Katie (the main character)? When I first read the back cover of Misfit McCabe I thought I bet I could relate to this girl (growing up I was sort of a rebel but never really wanted to be. I guess you could say I was an accidental rebel). LK: Katie. She and I have been together for so long it’s like she’s a part of me. She’s smart, but doesn’t think before she acts most of the time. She definitely has attitude, and can be contrary to work with. But she has an innocence that comes of having been well-protected growing up. She’s a staunch friend, has a quick temper, and is very emotional. In short, she’s a teenager. And in many ways, while she rebels, she doesn’t really want to—she craves acceptance, but has difficulty in believing that her new family does care for her and wants her to be a part of the family. In the first book it is told that Katie lost her mother and her father was seriously ill. How did you tap into the emotions of that for this character? LK: I’ve always been an empathetic writer. Well, I guess first I’m an empathetic reader. I’ve always been able to put myself in the place of the characters in a book and feel what they are feeling. Which is why when I read, I’m so often a mess afterward, all it takes is a sad moment and I’m bawling my eyes out. So I use that same ability when I write. I experience my characters’ pain. It comes naturally for me to do this, so it is difficult for me to explain how. I believe in them, they are real to me, and just as when you share the pain and suffering of a friend, I share theirs. My job is to keep enough of my mind above the feeling to capture it. But my heart has broken many times with Katie. I go through it first draft, and with every single revision. I know a lot of what we do as writers is imagine what it would be like to be in a situation. Did you have to imagine the pain she felt or did you have life experiences that told you first hand? LK: Yes and no. I had both parents in my life growing up, so for the emotions surrounding the absence of her mother, I have to imagine… or the way I think of it, I allow Katie to tell me how she feels. At the time I originally wrote Misfit McCabe, my own father was still alive and at that point well, but had been very ill with cancer during my teens, when I was a little younger than Katie’s fourteen. So I understand her fears about her father’s illness, but because her life changes so drastically, those fears are somewhat sublimated because of all of the new experiences she’s having. When she loses her father, I had not yet lost mine, so you can say that I had to imagine the pain, but I would disagree. Throughout my life I have experienced loss of loved ones, and with the illness my father had in my teens, I went through the same emotions as if I had lost him because he was not expected to live. As writers we can draw on any life experience and extrapolate it to what we need to connect with our character. The loss of a pet is a loss, and can be used to delve into that emotion. I think I have even called on emotions experienced from reading a book to help me in my writing before. Early in my writing career, I read that a writer should interview their main character. Was their a process that you followed when writing about Katie? LK: I was so green when I started writing Katie, I wouldn’t have known what you meant by a character interview. But since that time I have done character interviews with her, and with some of my other characters. Katie talks to me…when she’s not in a snit about something, so most of the time I don’t need to interview her. I use the question and answer times for when she’s clamming up about something, which usually means it’s something that has more layers and she’s not comfortable with exploring, which means we have to. For the third book in the series (no release date yet), No Boundaries, I had to do a character interview with one of my characters who kept feeding me fantastic lines, but refused to tell me her name or let me see what she looked like. I had her voice, but nothing else. The root of the problem? She didn’t like her name and she didn’t want to be stereotyped. No worries on that score—she is decidedly an individual. I have another character for another book (Middle Grade) for which there was no need to interview her. She marched up told me her name and told me I was going to write her story. It is always interesting to me to learn about how other writers connect with their characters. I have journals filled with my character interviews. The follow up to Misfit McCabe is Nowhere Feels Like Home. What can readers expect in the second book? LK: Nowhere Feels Like Home was an interesting one for me because, without giving too much away, Katie winds up with a broken ankle at the end of Misfit McCabe and Nowhere Feels Like Home picks up hours after the conclusion of Misfit McCabe, so I have a very active, always looking for something to get into, teenager laid up in bed for the duration of the book. 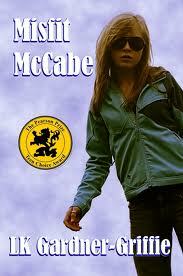 Also, originally the book was not supposed to be a sequel, but a companion book to Misfit McCabe. As I mentioned, the first book was written years ago, but Nowhere Feels Like Home, was written in 2009. And all those years ago I meant Misfit McCabe to be a stand-alone. But after finishing it realized there was another story I wanted to tell, that of Katie’s cousin Sarah. So Nowhere Feels Like Home became a blended book, where I fulfilled the needs of my reader’s by continuing Katie’s story, but also had a chance to tell Sarah’s story as Sarah relates her past to Katie. It gives Katie more of a feeling of her roots, and there is so much from the past that is influencing Katie’s present that she knows nothing about. I like to think of Misfit McCabe as being a story about a girl and her experiences and is very Katie-centric. Nowhere Feels Like Home gives more of a flavor of the McCabe family. The third book, No Boundaries, focuses more on school life. I’d like to congratulate you on the awards these books have received. Misfit McCabe placed runner up in the Montreal’s Pearson Prize Teen Choice Award and then Nowhere Feels like Home received the The Pearson Prize Teen Choice Award the following year. How did it feel to be told your book won an award? Was it a surreal moment? LK: Thanks!! As I mentioned in a previous question, I published Misfit McCabe with the idea of giving copies to family and some friends. But then it started selling to strangers, and I received an email from Michael Sweet, a teacher in Montreal who runs the Learning for a Cause organization, requesting Misfit McCabe’s participation in The Pearson Prize Teen Choice Awards. To say I was surprised was an understatement. I checked into the contest and I really liked the premise of it and even though my book is geared toward the younger side of young adult, and these were high school students, felt that it was an honor to be asked to participate, so I sent in the book expecting to be a participant only. So it was very much a surprise to receive the letter advising me Misfit McCabe had achieved runner up, in a contest where 150 books were read by over 100 students. Not bad for a book which was really geared more toward middle school/junior high age. Then when I completed Nowhere Feels Like Home, the submissions were being accepted for The Pearson Prize Teen Choice Award for 2010, so I sent it in, again not expecting to win. So yes, surreal covers it nicely. It provides me immense satisfaction that students voted on the stories and two years in a row were deemed favorites. They are who I write for, so it really does mean a lot to me. Everything about becoming published intrigues me especially the book covers. Did you have any input into what your book cover would look like? I have to tell you, I thought Katie looked like a younger version of you. I wondered if this was purely coincidental. LK: On the covers, the current Misfit McCabe cover is the second cover it has borne. The first one was more comic like in appearance because I really didn’t want to show a person on the cover. I like for the reader to use their imagination and come up with what the character looks like to them. But I had several comments about the cover being too young for the book. People either seemed to love it or hate it. It was polarizing. And since it was something I put out myself, I had complete control over what was on the book, so I decided to change it. In the traditional scenario, I would as a debut author, have had little to no say at all about the design of the cover. Being the publisher, I got to change it, so I started looking for suitable pictures. When I ran across the pictures, which were listed with a creative commons license, it was Katie to me. I recognized her instantly. I knew she had to be my cover. And yes, that she does look like a younger version of me is completely coincidental. I didn’t look like that at her age. The new cover has gone over much better and is more universally liked. What’s interesting is that at a book festival I attended when I was trying to decide on which cover to go with, I had a few books made up with different covers to ask readers which they liked the best. I had both bookmarks with the old cover and ones with potential new covers. Younger kids and boys picked up the old cover and the target age girls picked up the new cover. I have quite a few boys who really enjoyed Misfit McCabe, so in a way I was a little sad to change a cover that appealed to them. I don’t know how many boys will feel comfortable reading the book with the new cover. At least in public. Can you tell us what you find to be the biggest challenge when it comes to writing? LK: Sustained belief in myself and my abilities. Most days, I’m pretty good about knowing that I’m a good writer, and that my stories hang together well, but I have, as I think we all do, some devastating moments where believing that what I’m working on matters to anyone else, or that I have the ability to string a sentence together is a long stretch. I don’t write edgy, so it won’t fit in today’s market, or my story isn’t about big issues, but the small ones kids face daily. And usually that’s where I can get myself turned back around. My work does connect with kids and it connects with adults. And I have some concepts for books which scare the tar out of me… I’m not sure that I have the writing chops to take them on, but I know I will and I’ll futz with them until I get them right. And then the world can judge whether I accomplished my goal or not. I’ll continue to write because I have to. The stories keep coming and I need to be able to write faster so I can get them all down. Twitter is a great way to connect with other writers and potential readers (it’s where I met you) can you tell my readers where they may find you (eg. blog, twitter facebook etc). I also have LinkedIn & Myspace, but am so rarely there I won’t bother to put the links. Do you have more planned for Katie? LK: No Boundaries the third book in the series will be released some time this summer. I’m going through the final revision stage (again and again) and have the cover already done. I am currently working on the fourth book in the series, which is untitled as yet. And have a fifth book planned. For me, that will be the end of the series. Okay, I have a few personal questions to ask if that’s okay. 1. Do you have a writing spot? LK: I would LOVE to have a writing spot. At the moment, I tend to do most of my writing in bed because I have three long-haired miniature dachshunds who bang on the door, whine, or will scratch my leg if I write in another room. I have a lap table and a bed stand that I use for my laptop and they lay next to me or on my lap as I write. When we move, I plan to have a specific writing room and will use good ear plugs, so I’m not distracted by pups or my husband. Actually, I did use a writing room when working on the revisions for Misfit McCabe and wound up using a pouch to put our then youngest pup in and had to reach around her to get to the keyboard. She’d go promptly to sleep, but couldn’t stand to be on the floor at my feet. 2. When an idea comes to mind what do you do with it? LK: Usually when an idea hits me, it’s one of those brain-stopping moments so the first thing I do is try to get beyond the “Whoa! !” stage. Then I try to decelerate the brain because it goes into overdrive. And when I can finally get it settled down and partially coherent, I notate the idea. Ideas for me have to simmer for awhile. Sometimes they start like Misfit McCabe with a dream and are nearly intact, but other times it is the whisper of an idea and I have to let it percolate and mature. Some don’t mature, and others do. 3. Where is the most unusual place you scribbled down something you needed to remember? (mine was on the back of a book of matches). LK: I’ve used napkins, I think, but they are not that unusual. A drink coaster once or twice, but most of the time I note things in my mind and then put it in the computer when I have a chance. If the idea sticks around, then it’s worth exploring. If it disappears before I can get it notated, then it probably wasn’t the right idea for me. 4. How valuable do you think critique groups are? Can you tell us if you have one? LK: I think critiques definitely add value to the process. Without gaining feedback on the work at hand, you lose a perspective or multiple perspectives which could aid you in making your work better. Working with a group can be wonderful, and it can also be challenging. A group has members that are at varying levels, and if you have the most experience, you end up being the teacher and don’t grow as much as you could should you be in a group where your abilities are on par with or even below the other members. That’s not to say you can’t gain in both instances, but usually in the first, you’re giving more than you’re taking away. Also, there is the issue of time, whether the group is online or in person, etc. One of the most invaluable experiences I’ve had as a writer was the writing class I took when writing Misfit McCabe. It was run very much like a critique group and each person turned in two pages each class and they were read aloud by the designated reader (who wasn’t a writer). In this way, the same voice read all of the pieces, you were forced to listen for the nuances, and where the reader stumbled (time to rewrite), then the class would comment and the teacher would sum up. Hearing the work read aloud is invaluable—especially by someone who has not read it before. I think it is important to find a group that has the same values you are looking for as well. I have heard horror stories about some groups where the members are vicious about the writing. There isn’t any need for that. I currently do not have an in person critique group, but belong to one online, although I have not been active with the group of late because of time constraints. I rely heavily on people I trust to read and critique my work, who will give me honest feedback and tell me where the writing needs to be tweaked, what works, and what doesn’t. 5. What is the best thing about writing for you? LK: The moments. There is so much I love about writing. The creation, the getting to know the characters, figuring out the plot, but the best is the moments. The moments during the creation phase when the story starts moving in a direction you hadn’t thought of, and wouldn’t have taken it. The moments during the revision & editing phases where tightening a sentence or adding two words create an additional layer of meaning for the reader. And finally, the moments when the reader connects to the words on the page (and hopefully tells you) and knows what your character is feeling because they have felt the same. 6. Do you have a ritual when it comes to writing? I know some writers need their chocolate before they sit down or their cup of coffee or glass of wine, how about you? LK: I used to be a lot more persnickety about my writing habits than I am now. The only thing that I think I can say is mandatory, outside of my characters talking to me, is something to drink by my side, usually hot tea which cools and goes stone cold as I’m in the middle of working through a scene. But I drink it anyway. Lk, I’d like to sincerely thank you for taking the time to answer my questions. You are extremely talented and an inspiration for me. LK: You are so kind. Thank you very much for allowing me to participate in this interview. Is there a piece of advice you’d like to give before you leave? LK: Believe in yourself and keep writing. Even if what you write is crap, let it pour out on to the page, because bad writing can be fixed, but no writing cannot. And don’t be afraid to stretch yourself. Only by stretching ourselves can we find out what we are capable of and it strengthens our abilities. Where in the World is Misfit McCabe?